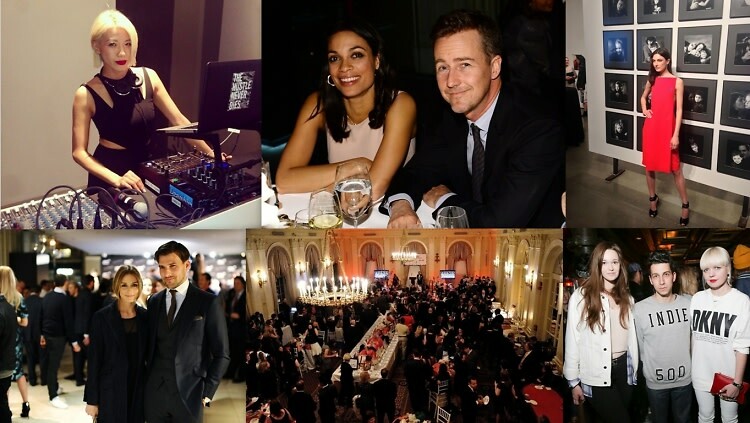 Last Night's Parties: Joan Smalls & Constance Jablonski Get In A Bidding War For Charity, M.I.A. Performs With A Janelle Monae Hologram & More! Last night in NYC, Jacquelyn Jablonski hosted "A Night Of Autism" silent auction at Milk Studios with a handful of her supermodel friends, Edwards Norton, Rosario Dawson and Chanel Iman celebrated Montblanc's 90th anniversary of the Meisterstück, Helena Christensen and Refinery 29 hosted an intimate dinner at Charlie Bird, and much more!